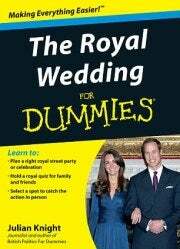 OK, America, time to put away your copy of "Royal Weddings For Dummies," and get busy watching the real thing. The arrival of the guests at Westminster Abbey is just the culmination of royal wedding frenzy. We've stocked up on Royal Wedding beer and are all set to order some Royal Wedding Pizzas with the lucky couple's faces outlined in pepperoni and peppers. As for dessert: We just wish it could be the $900 jellybean with Kate Middleton's face on it. Even globally, unless you retire to a cave for the next 48 hours, you have little choice of avoiding the Royal Wedding madness. So, you might as well join the celebrations to avoid a mental breakdown. Here are some of the best ways to do this virtually. While waiting for the carriages to circle the Abbey, check out some of the parody videos attracting attention this week. They should keep you entertained until Kate says ‘I do' to Wills. First, you can view this T-Mobile spoof video that shows one idea of how the wedding will unspool. Nearly 14 million people worldwide already have seen it, so jump on the bandwagon! And, here's an acapella group called The Other Guys with their Royal Romance video based on a Lady Gaga song. Stay with it--it looks serious at the start but delightly veers off the tracks pretty fast. The Sims 3 team placed the Royal Wedding into the Sims 3 universe, to great effect. Look out for some heavy making-out by several couples in the wedding party, and stay until the Queen rock outs at the reception. By the way, a fan site says the Sims 3 video was made using The Sims 3, The Sims 3 World Adventures, The Sims 3 High-End Loft Stuff pack, The Sims 3 Ambitions, The Sims 3 Fast Lane Stuff Pack The Sims 3 Late Night, The Sims 3 Outdoor Living Stuff pack, The Sims 3 Generations, and items from The Sims 3 Store. One does enjoy having foreign royals round for drinks. Edward hasn't seen this many queens since that party at Elton John's. The King and Queen of Norway are off to Westminster Abbey with a sleeping bag. Want to get a good seat & not afraid of the cold apparently. You can find more silly parody feeds, including William_HRH and PrincessKateFTW (not the real royals,, of course). Charlie Brooker, a columnist for The Guardian, has a great tongue-in-cheek rundown of how the day's TV events will pan out. Match his timeline with the real one once things get cranked up. 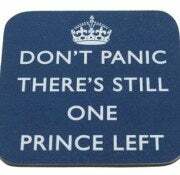 For instance, here's what he thinks will happen about 10:15 a.m. BST: "10.15--Fifteen-Minute Pause for Everyone on Twitter to Make Snarky Comment Re Prince William's Hairloss"
Some souvenirs, like this coaster, give hope to every woman who is not Kate Middleton. And, if this all proves too much for you, there's a Royal Wedding sick bag. To catch the Royal Wedding live, there's always the official YouTube channel or over the top coverage from CNN among many, many other places. And here's the Best and Worst Android Apps for the Royal Wedding.